External auditors share how well your systems, software, and procedures worked with actual data collected across a specified timeframe. Findings in audit reports become barriers to business. In today’s cloud economy, customer due diligence has gone from nice to have to mandate. WHY COMPLY WITH CIS CSC V.6.1? Center for Internet Security’s Critical Security Controls is especially relevant because they are updated by cyber experts based on actual attack data pulled from a variety of public and private threat sources. 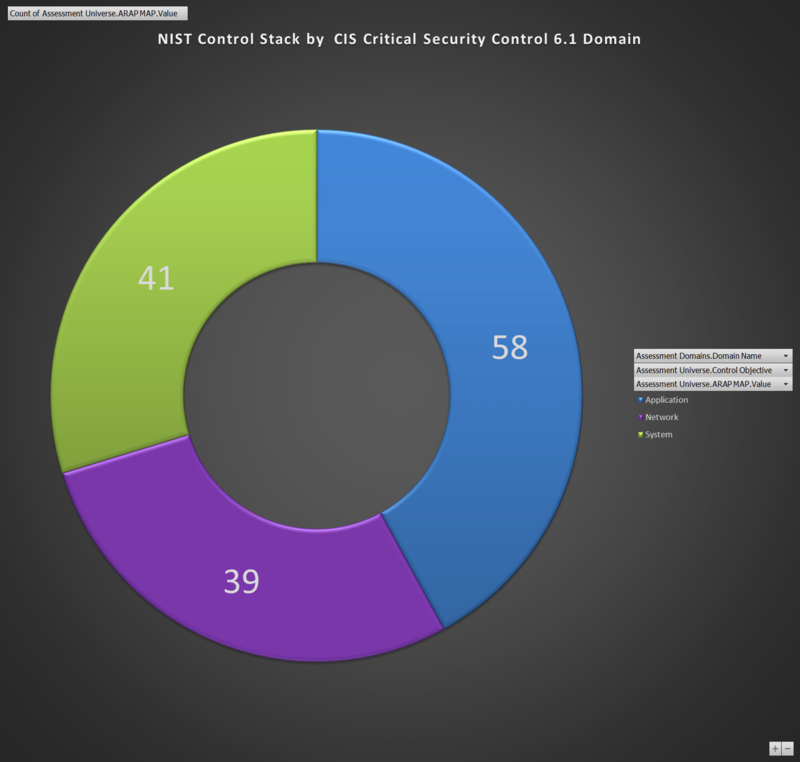 Organizations that implement CIS Controls are likely to prevent the majority of cyber-attacks. The CIS Critical Security Controls™ (CIS Controls) are a concise, prioritized set of cyber practices created to stop today's most pervasive and dangerous cyber-attacks. CIS CSC v6.1 contains important components that make-up an effective cyber defense system, allowing companies to prioritize controls that protect against the greatest threats, provide metrics for IT personnel to understand, continuously diagnose and mitigate risks, and automate defenses to ensure compliance with the controls. Security and Compliance offers a system based mapping of CIS Benchmark rules according to their most relevant CIS CSC 6.1 risks, making failure and success in IT control continuously available to risk management reporting process. Facing multiple forms of external controls assessment, organizations often fail due to improper security settings, incorrect configurations, low levels of encryption, or poor policies and procedures. Continuous testing over those controls could have prevented costs in business disruption, time-consuming client discussion, or lost business opportunities. Like many standards covering cyber risk, Critical Security Controls are broken out to Network, Application, and System. Whether the organization approaches security from a risk-centric or the matrix approach of NIST 800-53 r4 and Appendix J for Privacy, the efforts to make an enterprise resilient should be the same. Explaining these efforts to the board should be results driven and simple. Cavirin security and compliance experts evaluate and map the CSC top 20 to 100% of applicable areas in NIST 800-53 r4 and Appendix J for Privacy. Steps to associate the controls prescribed for NIST 800-53 r4 are same throughout all areas of compliance, so Cavirin team iterates across risk and vulnerability concepts using the best industry research and tieing down themes of risk that result in a resilient compliance fabric. EnterpriseGRC Solutions content mapping methodology works with Cavirin's ARAP platform in some striking ways. 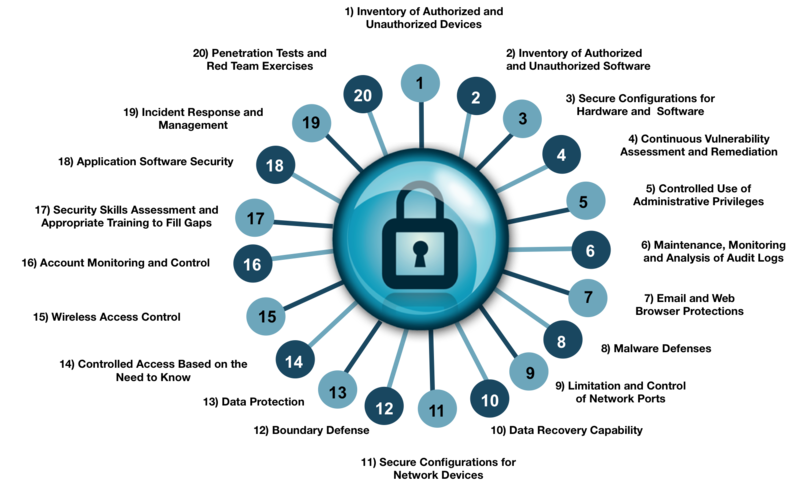 Cavirin’s ARAP™ solution automatically checks system configuration settings across all target environments, reporting against expected system based CSC top 20 Critical Security Controls. Review and response to address recommended fix actions allows timely remediation to found problems, and further rewards the business by rapid completion of unnecessarily disruptive audit events. People with compliance responsibilities have only three choices, to avoid, accept or share a risk. The burden of proving prudence and speed falls to those we entrust with positions to manage risks to the enterprise, including its people, process, and systems. Using this type approach allows for qualitative and quantitative risk analysis. The objective is always to make the right decisions faster. Settings that indicate missing patches for operating systems and applications. Locating policies that enable weak passwords. EnterpriseGRC Solutions and Cavirin Security and Compliance actively contribute to CSC mapping with NIST Cyber Security Framework (CSF) and NIST 800-53 r4 and Appendix J for Privacy, making this contribution publically available through the Champion contribution. In fact, EnterpriseGRC Solutions Security and Compliance actively contributes to all major standards and organizations responsible for the mapping of regulatory requirements and the most highly leveraged national and international standards. In addition to organic CIS Benchmarks and DISA STIG NIST based configuration management, EnterpriseGRC has implemented all assessments with NIST Cyber Security Framework (CSF) and NIST 800-53 r4 and Appendix J for Privacy. Clients who elect to use multiple policy packs, including ISO27002:2013, will benefit the extended use of multiple frameworks to align Information Security Programs and Policy. Cavirin is transforming the way IT security manages risk. Founded in 2012, Cavirin’s platform is a purpose-built agent-less solution that deploys quickly to on-premises, cloud, and containerized infrastructures, helping organizations reduce complexity, become agile, and drive dramatic increases in efficiency with their risk and compliance programs. Leveraging continuous visibility and automated assessments, companies are empowered to make the right decisions faster. Automated Risk Analysis Platform (ARAP) is a security and compliance fabric that provides continuous configuration evaluation with recommendations for alignment to industry standards and best practices, prioritizing systems and risk remediation efforts across complex hybrid IT infrastructures. Offering up-to-the-minute system based elements of compliance assessment, Cavirin supplies audit ready evidence as measured by every major regulatory, and security best practice framework. EnterpriseGRC Solutions is empowered to implement governance, security, risk, and compliance automation products and programs, emphasizing system based policies specific to security settings for secure configuration management. EnterpriseGRC is a women-owned small business offering compliance readiness, Security & GRC tools, Enterprise Security Architecture, Cybersecurity Risk Assessment, and a wide variety of resources for security and GRC technology support. Founded October of 2002 as Phoenix Business and Systems Process, and rebranded in 2011 as EnterpriseGRC Solution, the company is positioned to solve an organization's greatest cloud security and cyber challenges. True to its tagline "Simple Solutions to Complex Problems" the company offers pragmatic, remote and on-site web-enabled compliance implementation, training, strategy, management consulting, security and risk management services.